Gain even more savings by pairing your accommodations and airfares. Expedia has heaps of outstanding Meizhou vacation packages that'll save you time and give you more cash to splash! Smart travelers can save up to C$590* by purchasing a package deal on Expedia. With more than 400 partner airlines and 321,000 properties to pick from on our comprehensive database, you won't have any problems creating your perfect vacation. Not 100% sure about your booking? There is no cancellation fee from us if you change your mind for almost any reservation. Itinerary looking a little empty? Meizhou vacation all arranged but not sure what to expect when you get there? Let us guide you. If the young ones are bored with sightseeing and need some exercise, why not take them to Jianying Park? It's the perfect place to have a game of catch and kick a ball around. Still got time to spare? Choose a good vantage point and observe life roll by at Meixian People's Square. If you feel like having a chin-wag, this enduring meeting point is also a terrific spot to hang out with fellow travelers and locals. If you're seeking out luxury getaways or cheap vacations in Meizhou, it's recommended you book a place to stay before you go. 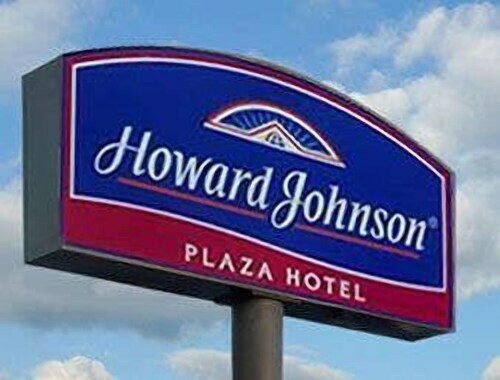 There are just 2 Expedia properties available. 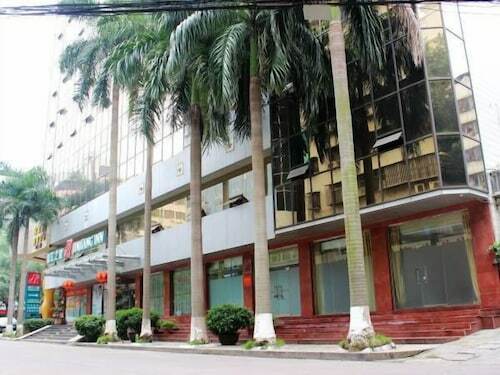 If you're looking for accommodations with first-rate reviews and cozy beds, you really can't go past the Shenzhen Shengang Jiabaorun Hotel (Rm 136, 1F, Jiabao Runjin Tower B) and the Howard Johnson Changsheng Plaza Meizhou (8 Fuqian Avenue). Clear security, board the plane, stow your baggage and settle in for the flight! Your trip to Meizhou isn't too far away. After the wheels touch the ground at Waisha Airport (SWA), you'll be approximately 70 miles (113 km) from the center of town. 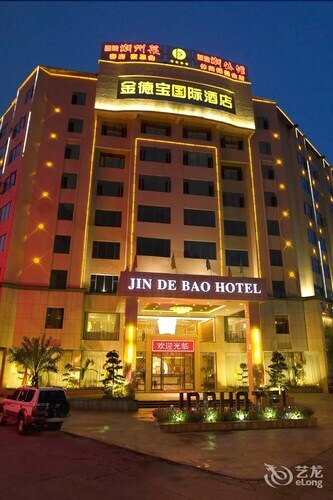 Located in Meixian, this hotel is 2 mi (3.3 km) from Jianying Park and 2.8 mi (4.6 km) from Thousand Buddhas Tower. Hakka Museum and Meixian People's Square are also within 6 mi (10 km). 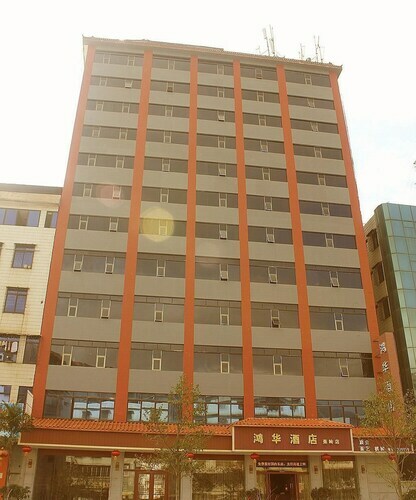 Located in Meixian, this hotel is 1.1 mi (1.8 km) from Hakka Museum and within 3 mi (5 km) of Thousand Buddhas Tower and Jianying Park. Meixian People's Square is 4.1 mi (6.6 km) away. Located in Meixian, this hotel is 1.2 mi (1.9 km) from Thousand Buddhas Tower and within 3 mi (5 km) of Hakka Museum and Jianying Park. Meixian People's Square is 4.7 mi (7.6 km) away. Located in Meixian, this hotel is 1.2 mi (1.9 km) from Thousand Buddhas Tower and within 3 mi (5 km) of Hakka Museum and Jianying Park. Meixian People's Square is 4.9 mi (7.9 km) away. Located in Meixian, this hotel is 1.7 mi (2.7 km) from Meixian People's Square and within 6 mi (10 km) of Jianying Park and Hakka Museum. Thousand Buddhas Tower is 4.1 mi (6.6 km) away. 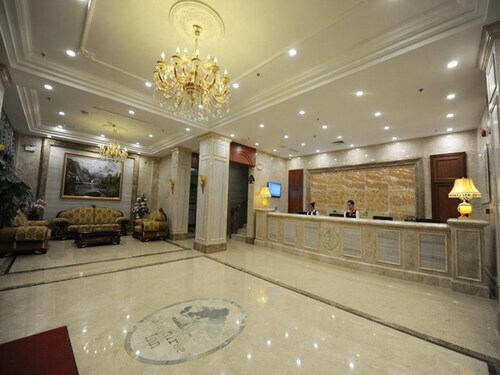 Located in Meixian, this hotel is 0.5 mi (0.7 km) from Meixian People's Square and within 6 mi (10 km) of Jianying Park and Hakka Museum. Thousand Buddhas Tower is 5.3 mi (8.5 km) away. 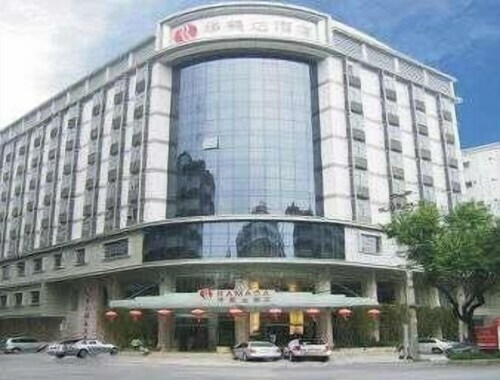 Situated in Meizhou, this boutique hotel is within 32 mi (52 km) of Hakka Museum, Thousand Buddhas Tower, and Jianying Park. 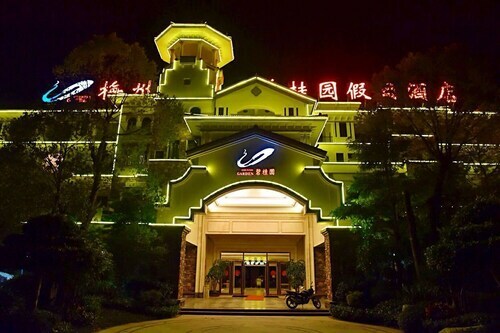 Located in Meixian, this hotel is 1.9 mi (3.1 km) from Shejiang Buddhist Temple and within 25 mi (40 km) of Qinjiang Park and Wenfeng Ancient Tower. Meixian People's Square and Jianying Park are also within 32 mi (52 km). Thu., 2 Jan. - Tue., 14 Jan.